This past summer Wyoming law enforcement stepped up its efforts to target drug traffickers. The increased attention resulted in significant arrests of people who were trafficking both marijuana and methamphetamine. As a result of one investigation, forty-seven people were indicted in connection with a drug trafficking ring in Campbell County as drug traffickers brought methamphetamine and marijuana into Gillette and re-distributed it throughout Wyoming, Montana, and South Dakota. In addition to drug trafficking, many people from Colorado bring marijuana that was legally purchased there into Wyoming, where it is illegal. Depending on the amount in their possession, if caught, these people could face charges of drug trafficking. Wyoming is one of 20 states where marijuana remains illegal for both recreational and medicinal use. Because Wyoming borders Colorado, where marijuana is legal for both recreational and medicinal use, many people bring marijuana into Wyoming and are charged with illegal possession of a controlled substance. If you have been charged with drug trafficking in Wyoming, understand that the consequences are severe, and that you need to hire a skilled and experienced Wyoming criminal defense lawyer as soon as possible. Drug trafficking involves the sale of drugs, but on a large scale. If you are caught in possession of less than 3 ounces of a controlled substance you will probably be charged with drug possession. If you are in possession of more than that, it is likely that you’ll be facing drug trafficking charges. Drug trafficking in Wyoming is a felony. Penalties vary depending on the amount of controlled substance in your possession and range from one year in prison and a fine of $1,000 up to 20 years in prison and a fine of $25,000 per charge. 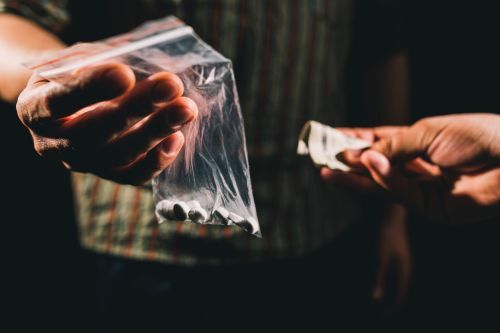 Many drug trafficking cases involve multiple charges arising from the same set of circumstances, which means that you could be facing significant fines and jail time if convicted. In addition to the potential fines and jail time, allegations of drug trafficking will follow you for a long time and can affect your future employment prospects. If you are arrested and charged with drug trafficking, you should start thinking about hiring an experienced Wyoming drug crimes defense lawyer immediately. However, understand that there are a lot of things that will probably happen before you have the chance to speak with your lawyer. Search. If you are stopped and suspected of drug possession or drug trafficking, police will try to search your car and your person. The search is only legal if: (1) you consent to the search, (2) the police had a warrant, or (3) the police have probable cause to believe that you have committed a crime. In most traffic stops, police do not have a warrant. If you are asked to consent to a search or your car or your person, politely tell the police officer that you do not consent to the search. If you do not consent to the search and the police do it anyway and find drugs, this evidence can be excluded from your case if it was illegally obtained. Arrest. The police can only arrest you if they saw you commit a crime, or if they have probable cause to believe that you committed or were about to commit a crime. Miranda Rights. If you are arrested, you should be read your Miranda rights. Regardless of whether you are read your Miranda rights, it is best to politely tell the police officer that you are asserting your right to remain silent and are invoking your right to a lawyer. If you are arrested for drug trafficking, say as little as possible while being polite and cooperative, and trust your criminal defense lawyer. You will have the chance to post bail, and your criminal defense lawyer will begin working on your defense. If any of the evidence was obtained illegally, your lawyer will try to have it excluded. The more evidence that is excluded, the more difficult it will be for the prosecution to prove that you are guilty of drug trafficking beyond a reasonable doubt. If you or someone you care about is facing charges for Wyoming drug trafficking, hire a skilled and experienced team of drug trafficking defense professionals as quickly as possible. The team of criminal defense professionals at Just Criminal Law is here to protect your one shot at justice. We have extensive experience defending people accused of drug trafficking at the state and federal level. Contact Christina L. Williams and Just Criminal Law by calling 307-686-6556, emailing inquiry@justcriminallaw.com, or complete our online form.